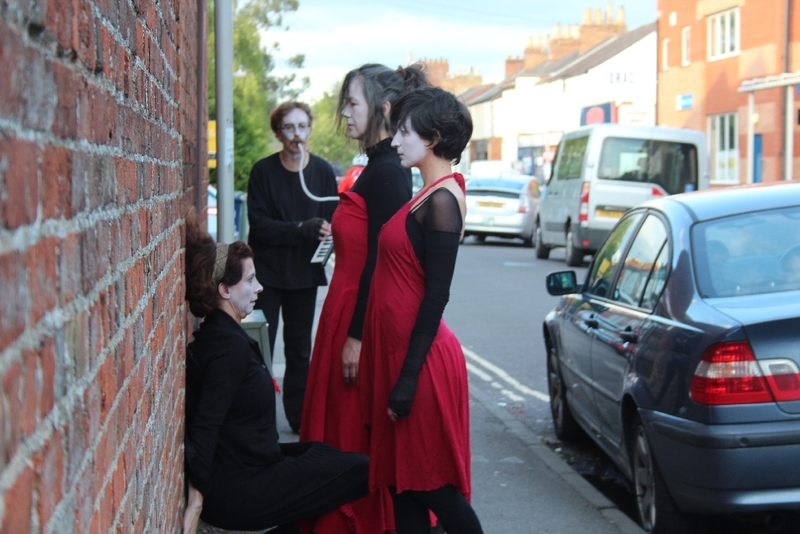 When My Grandfather was a Fish is a dance group formed by Paola Esposito, Flavia Coube and Malcolm Atkins in May 2014 during the Bath Fringe Arts Festival where they performed at the invitation of CARU. I have since been invited to join. The name, inspired by a short story in Italo Calvino’s Cosmicomics, was originally the title of the first performance, exploring human-animal evolutive boundaries and seeking to evoke primordial atmospheres through movement and sound. The group aims to use butoh technique to reclaim and revision the everyday. Currently drawn to the use of text, we are working on interpreting the poetry of Mohan Rana whom we met and began working with in Bath last year. We interpret the text of his poems through the dynamic interplay of sound and movement. We do not seek to recite the poems – except to give a benchmark for our interpretations – but to explore the resonance that different art forms can give them – away from the printed page or formal recital. Malcolm is also creating studio recordings of musical interpretations of Mohan’s work in parallel to the live performance and these are available at Words and Music.